Make a detailed shopping list and stick to it! Also, try to use what you already have in your fridge and cupboard. Patrol your pantry. Assess what you already have in your fridge and cabinets, identifying which items should be eaten soonest. To keep your kitchen waste-free, make meals that incorporate these foods! Become Storage Savvy. Not sure the best way to store cooked beans or whether you can freeze dairy? Consult the A-Z Food Storage Tip Guide to learn how to keep food fresh longer. While food holds a place in our hearts, it’s sometimes hard to know whether it also holds a place in the fridge or on the counter. Apples, berries, cherries, grapes, kiwi, lemons, and oranges. 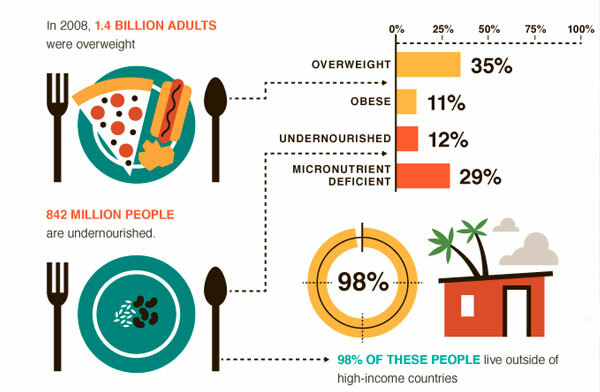 Yet while 1.4 billion adults are overweight… 842 million people are undernourished. 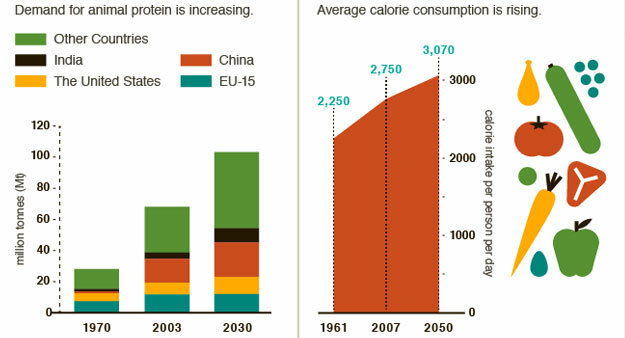 A lot of it has to do with food waste. 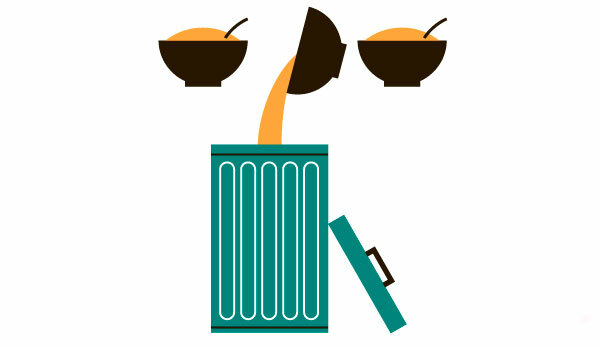 Think about it: Both high-income and developing countries waste 1/3 of the food produced. Food waste in high income countries happens at the consumer level, like what you leave on the dinner table. The total amount of food waste in industrialized countries is as high as the total net food produced by sub-Saharan Africa. …but understanding these facts are the first steps in making a difference. Climate change has adverse affects on crop production, but research shows these affects can be mitigated. If women had the same access to productive resources as men they could increase yields on their farms by 2030 percent. Researchers note that by getting farmers new and improved drought resistant seeds, or more fertilizer, yields could rise, resulting in more food for everyone. Continuing the push of open agricultural data awareness so that those with power, skills and resources can make adjustments for those who can’t. 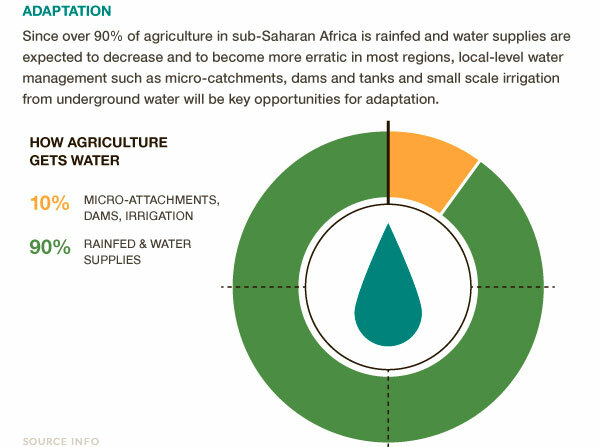 … this data and knowledge is getting more readily available, case-in-point, this pretty mini site on climate change, agriculture and food security.